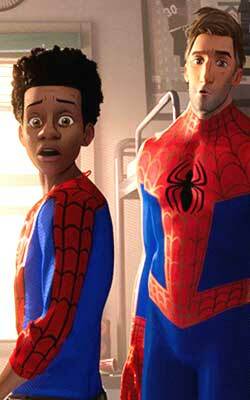 Spider-Man: Into The Spider-Verse, an English movie, is not currently screening in any theatres in Hyderabad. Agreed that it's personal opinion - it's just that it didn't excite me much compared to the review, hence my opinion/rant. Another feedback from me - you guys give different links for Telugu/English/Hindi reviews of the same movie, but the content remains same. Would be great if the content differs at least on the quality of dubbing. FH is my most trustworthy site for reviews, so I'll continue looking to save myself and money. fullhyd.com has 700,000+ monthly visits. Tell Hyderabad what you feel about Spider-Man: Into The Spider-Verse, and then also see all user reviews for Spider-Man: Into The Spider-Verse!